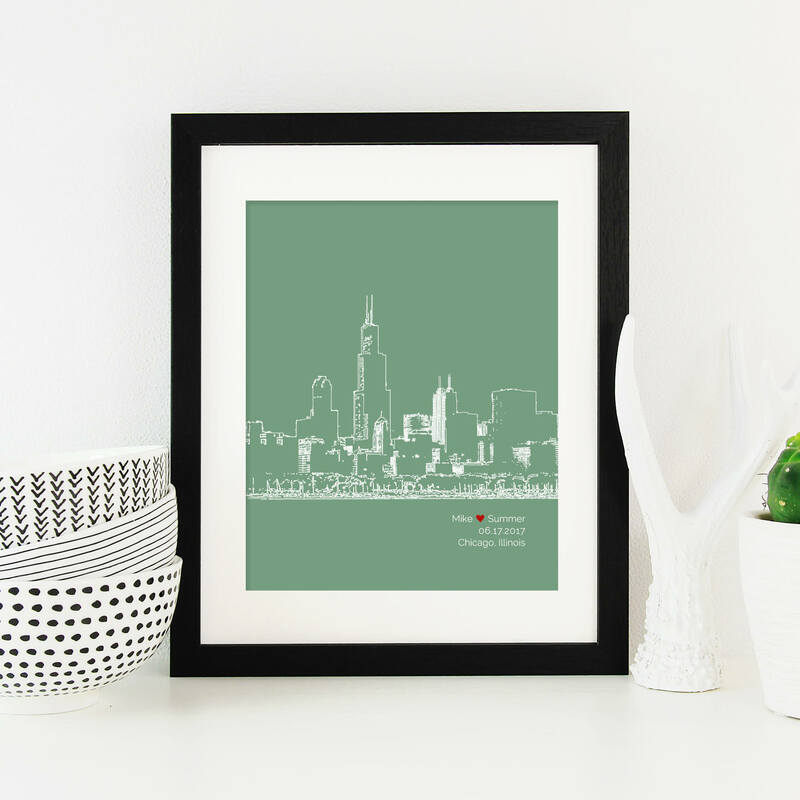 This art print features any major city skyline of your choice! Sleek and contemporary, each design is personalized with name(s), date and location. Great as a wedding gift, wonderful engagement or anniversary keepsakes, but also for a friend or family member moving away or to capture memories of a favorite destination. Seller is great to work with! Very prompt and product shipped quickly. Such a great gift and will definitely order again!